Cristiano Ronaldo is a Portuguese footballer who plays for Spanish club Real Madrid and the national team of Portugal, which was the 2016 European champion of the year. He was the most expensive player in football history – Real Madrid paid 80 million pounds for his transfer from Manchester United. He is a top scorer in the history of the Portuguese national team and is considered one of the best players of our time. Cristiano is officially recognized as the best player in the history of Portuguese football. Ronaldo was named the best young player of the 2004 European Championship, champion of the English Premier League 2006/07 season (the best player and the best young player of the season), 2007/08 (best player of the season) and 2008/09. He is a winner of Golden Boot in 2008, 2011, 2014 and 2015. In 2008 he was voted the best player of Champions League, received Golden Ball as the best footballer in Europe, and FIFA World Player of the Year award as the best player in the world. In January 2015, he won his third Golden Ball as the best player in the world in 2014. Jenson Button is a British Formula 1 driver, McLaren Honda pilot. He is a winner of Lorenzo Bandini Trophy and Hawthorn Memorial Trophy. In 2009 he was Formula 1 champion. Jenson Alexander Lyons Button was born on January 19, 1980 in Frome, Somerset, England. He is the son of Simon Lyons and former racer John Button (in the 1970s he was known in the UK under nickname Colorado potato beetle because of his Volkswagen Beetle, his best results were second places in Embassy / RAC-MSA British Rallycross and TEAC / Lydden Rallycross in 1976). Jenson has three elder sisters, however, their parents divorced. At the age of eight Button began karting. In 1991 he won all 34 races in British Karting Championship. His successes continued, including a triumphant appearance in the UK Open Karting Championship. In 1997, he became the youngest driver in the history to win the European Championship, as well as the Cup, dedicated to the memory of Ayrton Senna. Joe Namath is a former American football quarterback and actor. His bold guarantee before Super Bowl III made him an instant legend in the world of professional football. He became a celebrity and an icon to the rest of the world. 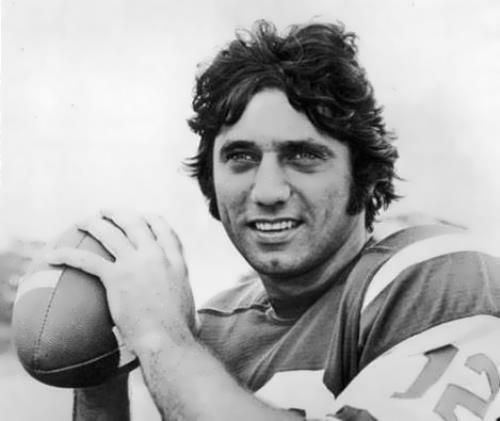 He was nicknamed Broadway Joe. Joseph William Namath was born on May 31, 1943, in Beaver Falls, Pennsylvania. He was the youngest of five children. His parents divorced when he was in the sixth grade. Joseph played high school basketball and was offered a professional baseball contract upon graduation. He decided to play football instead and applied to Penn State. In 1960 Joe led high school team to undefeated season and two years later he won Orange Bowl with Alabama. 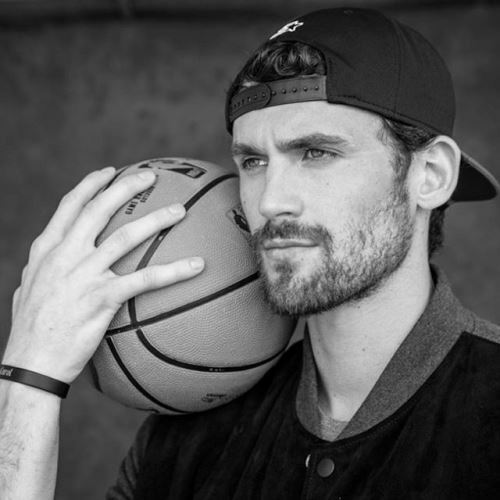 Kevin Love is an American professional basketball player who currently plays for Cleveland Cavaliers of the National Basketball Association. As part of the US team he became the 2010 FIBA Basketball World Cup winner and Olympic champion in 2012. In the 2010/11 season he became the first basketball player in NBA history after its merger with the ABA, who scored 53 consecutive double-doubles. Kevin Wesley Love was born on September 7, 1988 in Santa Monica, California. He is the second of three children. His father, Stan Love, is a former NBA basketball player. Kevin is the nephew of singer Mike Love from The Beach Boys. A year later, the family moved to Lake Oswego in Oregon. Kevin played for UCLA for one year. In the 2007/08 season he played 39 matches. Aaron Rodgers is a professional football player. He plays in Green Bay Packers team. 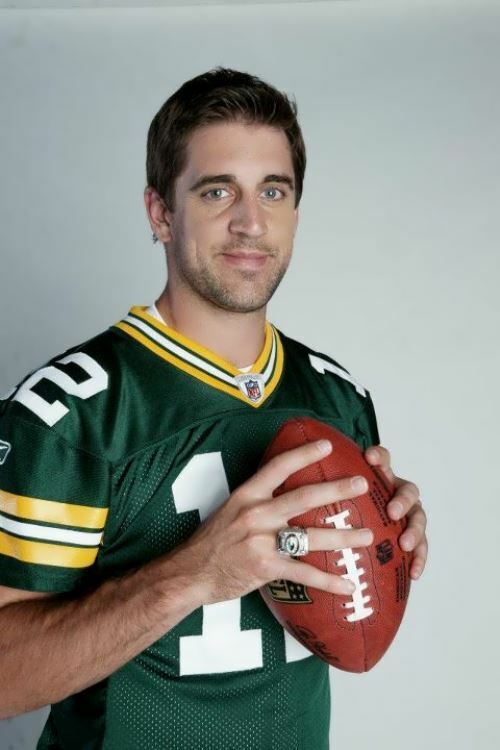 Aaron Charles Rodgers was born on December 2, 1983 in the city of Chico in Butte County, California into a family of Darla Lee and Edward Rogers. Aaron has English, Irish and German roots. From 1973 to 1976 Aaron’s father played football in the University of California. Aaron has brothers – Luke and Jordan, who also play football. As a child, Rogers was engaged in basketball and baseball. At school he played in Pleasant Valley High School team. He entered Butte College, located near Chico to play football for the local team. Jeff Tedford, head football coach of the University of California, noticed the boy. As a result, after one year in college Rogers received an athletic scholarship to attend the University of California and played for California Golden Bears from 2003 to 2004. During that time he set several records of the institution. Andre Ward is an American undefeated professional boxer. He is US Amateur champion (1999, 2001-2003), Olympic light heavyweight champion (2004), world WBA champion (2009-2015), WBC champion (2011-2013), The Ring champion (2011-2015), world light heavyweight boxing champion (2016-present). In 2009 he was NABF middleweight champion. In 2011 The Ring magazine recognized him as the Boxer of the Year. His nickname is Son of god. 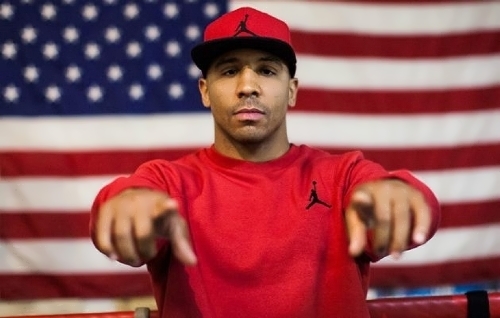 Andre Ward was born on February 23, 1984 in San Francisco, California. His father, Frank Ward, has Irish roots and his mother, Madeline Taylor Hervey, African-American. When Andre was still young, the family moved to another California city – Auckland. There he started boxing at the age of nine. The first and still the only Andre’s coach is Virgil Hunter. At school Andre was also engaged in American football. For achievements in the amateur boxing Andre can be called a “golden boy”. From 1998 till the end of amateur career in 2004, Ward hadn’t lost any of the official fight. Andy Murray is a British professional tennis player, the first racket of the world in singles; two-time Olympic champion in the men’s singles, officer of the Order of the British Empire (OBE). He is the first Briton in the Open era, who won the Grand Slam tournament in the men’s singles titles (US Open 2012). Andy is the first British tennis player since 1936, who won the Wimbledon men’s singles (2013 and 2016). During his career he played 11 times in the finals of Grand Slam tournaments and won three times. Murray is a winner of 45 ATP tours. Andrew Murray was born on May 15, 1987 in Glasgow, the United Kingdom. Andy started playing tennis at the age of three. His mother Judy is a tennis coach and his father William is a manager. Andy’s elder brother Jamie is also a professional tennis player. Jamie was the first player in the world in doubles, won Grand Slam tournaments in the men’s doubles and mixed doubles, won ATP tournaments for more than 10 times. Murray’s grandfather was a professional footballer.